Nowadays, a lot of things get done online, and because of this, it is necessary that a business has a stable internet connection. Satellite internet is one of the services that we provide as a way to keep you connected to your customers. With it, you can look forward to stable and secure connections that will serve your business well. For many people, this kind of internet is a whole new term to them. It is the kind of web that gets accessed through the use of satellites. If we were to explain it, in other words, we would call it a network that is made possible through the use of orbital communication stations. These satellites emit signals which enable the user to get high internet speeds, which are perfect for accessing information on the cloud. This kind of access can get made possible in two ways. The first way is by the use of low earth orbit satellites, also known as LEOs and the second is through geostationary satellites. The latter option might be hard to access in the Polar Regions, though not all of them. We offer different packages for this kind of service, which will depend on the speed that you require. Thanks to this, you can do everything that you wish on the web. People who live in remote areas, as well as places that are not yet fully developed, can make great use of this kind of service. It acts as an alternative to conventional cables as well as DSL. If you are unable to get the kind of speed that you need using the traditional means, get this and save your business from suffering. One great thing about it is that it is always on and you can access it at any time that you wish. There are various kinds of satellite dishes. There is the traditional kind and the updated one. The former is only ideal if very few people are in need of the connection. It offers limited performance because it works one way through a telephone line and a dial-up modem. The latter option is much faster as it allows two-way services. The capacity of the satellite internet access gets measured by its bandwidth amount, its uplink as well as its downlink power. The great thing about this kind of internet is that it keeps growing and is available all over the world. It works great for use in both homes and small to mid-sized businesses. Many issues can come up when using cable or DSL and a minor problem in the wires can deter you from getting online and carrying out your tasks. 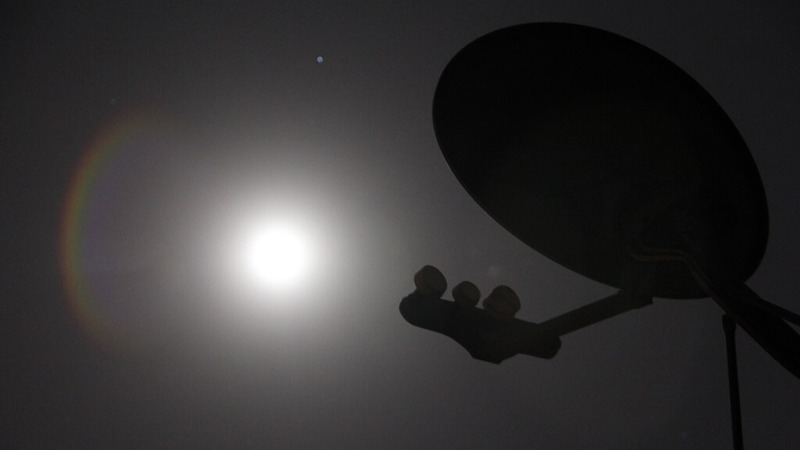 With the satellite access, you get an assurance that the service will always be on, day and night. If you want to go online, you do not have to go through the process of starting up your internet. All you need to do is to shake your mouse, and you are good to go. The connection does not get affected by problems in your phone line. Finally, you have the chance to use high-speed internet devoid of interruptions. The whole setting up and using process is a breeze, and you will get done with it in a short amount of time. A technician shows up at your home or place of work and sets up the dish. No significant changes need to occur, and as soon as they get done with the installation, you can go online. Depending on where you live, the dish will get placed in a way that it gets a clear view of the sky. The reason why the installation is so fast is that there are no cables or phone lines required in the process. The lack of such things makes the process easy as all you need is a dish. The nature of the earth with its oceans and other obstacles makes it hard to set up mobile communication lines across vast distances. With satellites, it is possible to do so as they can work their way around such hurdles. Some time ago, people shunned the idea of satellite internet access because the velocities were low. This case was because the satellites at the time used a one-way connection. Over time, the two-way link came to be, offering speeds that are nine times what the dial-ups have to offer. Now, there is no reason to shun such internet. In fact, it needs to get embraced as the fastest connection there is. DSLs limit the number of people who can access the web at a time. With this, several people can connect without compromising on the speed levels. This internet is not only fast and uninterrupted, but it also saves you on time and money. Talk to us today, and we will set up a dish for you.